Interest Rate Cut – A gamble for Growth? 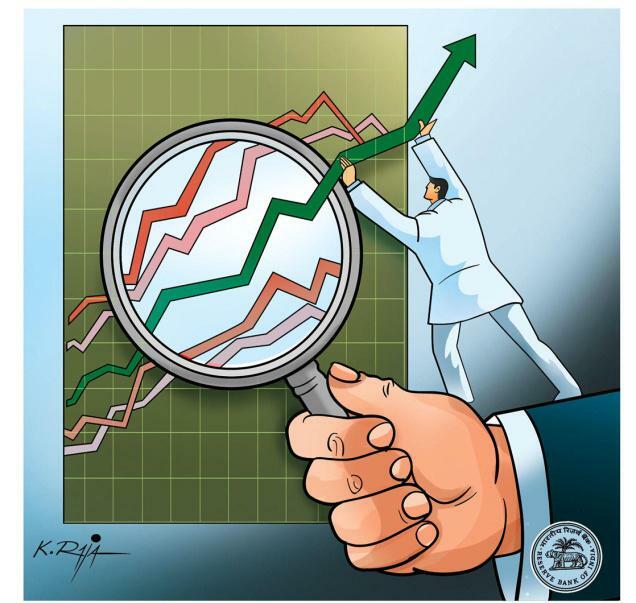 Reserve Bank of India (RBI) reduced the repo rate by 50 basis points to 8.0 per cent in its annual monetary policy review on April 17, 2012. While the markets were expecting a moderate 25 basis point cut to be in place, a sharp 50 basis point cut surprised many. Reserve Bank does seem to have its own logic for this rate cut but it seems like a step which is too fast and too furious. Is it a gamble for growth that RBI is willing to play or are they succumbing to demand and pressure from industry for some easing in policy rates? Rate cut from RBI comes on the back of declining growth rate to sub 7% which apparently is below the desired/expected growth rate which RBI has targeted. While the growth rate has been impacted due to continuous rate hikes by RBI in the past 2 years, there has been moderate impact on inflation. Headline inflation still hovers at around 7%, however there has been moderation from last year’s rate which has prompted RBI to take this cautious step of rate cut. Although inflation levels are yet far off from RBI’s comfortable target of 4-4.5%, but declining growth rate has prompted RBI to shift its focus on growth over inflation for the time being. This is a risky approach. Firstly, risks to inflation spiraling high again are looming at large. The reasons remain the same which have till now not let the monetary measures by RBI control inflation. Large fiscal deficit which has been further fuelled by focus of government on spending and giving benefits and subsidies has led to increase in demand which further triggers inflation. Further, inflation is driven by supply side factors primarily in the food category. Sturdy supply chain measures are yet to be taken by the government to counter these challenges. Further the decline in investment activities has more to do with weak fiscal policies than high interest rates. Policy-related bottlenecks, higher cost of inputs, weak rupee and slowing external demand has all led to decline in investment activities. Foreign investments also have seen to take a dwindling in wake of weak confidence in Indian Economy in the backdrop of slow growth, non-industry friendly policies, political uncertainties and row of scams. Amidst all these, there is also pressure of fuel prices to rise in the global markets. Even if the prices remain steady, government has but little choice to increase retail fuel prices given the already burdened subsidy budget. While the RBI has said it has taken a cautionary approach and intends to closely monitor inflation and growth rates and if needed might even go for rate hike, but it is moving into dangerous grounds. Growth does certainly seems to be a significant factor on RBI’s mind when playing the repo rate cut card but for it to be significantly effective, Banks need to pass on the rate cut to corporate so that investments can be boosted. Apparently the banks are reluctant to do so. Given the slow deposit growth, banks are hesitant to drop the deposit rates as it may further slow down deposits and so if the lending rates are cut it will hit the profitability of Banks. 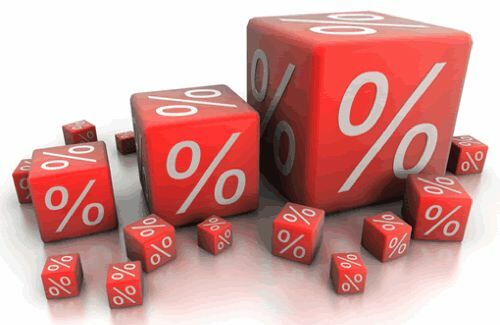 The banks will ultimately pass on the rate cut but it will be crucial to see who wins in the race – inflation or growth. We all hope that the measure turns out beneficial and gets Indian Economy back on track of solid growth. Subprime Crisis: What Indian Banks can learn? The recovery phase from the global turmoil is under progress. Although still shaky, the financial firms are stabilizing. It started out with plummeting interest rates to promote consumption in the US market which prompted the housing prices to go up. Irrational lending and plethora of new complex financial product which were overlooked by the regulators created a bomb which exploded the moment the string was loosened and defaults started happening. India although was quite isolated from the US mortgage market, still had to face shaky impacts through the financial channel, real channel and the confidence channel. 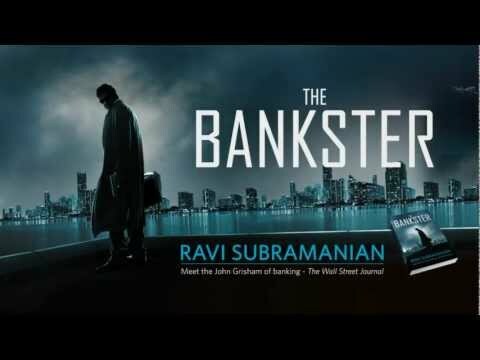 The Indian Banks had little exposure to the US market couple with the sound and conservative pillars on which they lie, were able to save themselves from any catastrophe. But they were also swept in the booming economy spirit and went into a reckless lending mode. There may be a possibility of a financial bubble bursting in the Indian Retail Lending market if enough care is not taken. It is only prudent for Indian Banks to take a wise look at the recent crisis and incorporate the lessons for survival in the future. Retail Lending in India basically consists of Mortgage/Home Equity Loans, Vehicle Loans, Loans against shares, Personal Loans & Credit Cards, with Mortgage Loans being the least risky as its secured by assets and Credit Cards being the most risky. Traditionally banks have been lending to individuals based on their purchasing power, requirement and demographics. Retail banking was not very popular earlier and only caught speed in the mid 90s when due to liberalization, the purchasing power of consumers and standard of living started increasing. Since then it has been a fast growing market. Retail credit constitutes about 25% of the total credit and has grown by 28.0% to INR4,218.3 billion. During 2006-07, gross credit extended by Indian commercial banks grew by 34.83% to touch INR19,495 billion. Till 2010, retail banking is expected to grow at a CAGR of 28% to touch a figure of INR9,700 billion. It’s a sector which is going to be a profitable segment for the banks always. This charm coupled with the booming economy provoked banks to venture aggressively in it. Numerous loan schemes came out in India and it was pretty easy to get loans during 2007-08. This can be verified by the numerous calls from banks about loan and credit card offers that were on the rounds. Since income levels were rising banks perceived low risk in lending and often shifted towards reckless lending. Now that a slowdown in there, bonuses and salary increments are on a decline, banks are fearing of defaults on the huge pile of loans that they have given out. Non-performing assets(NPA) for banks have increased from 2% to 4% and it is a cause for worry. The biggest worry is from the credit cards market. In a drive to provide each consumer with multiple credit cards, banks have ended up with a wide spread of low frequency card users. This is turning out to be non-profitable since the transactions costs involved are high. Moreover, the probability of defaults and frauds in credit card payments have been rising. Industry estimates showed that the default has increased by 50-70% over last year. Given the high interest rates that are being charged for credit cards, the risks of defaults are obviously higher. Credit Cards scenario is just an example to show that despite the isolation of Indian Banks, the risks are there and lessons from the sub-prime crisis to avoid one in India. The first lesson is that multiple borrowings should be regulated and appropriate credit analysis needs to be done before lending in such cases. Banks should also opt out of high growth trajectories driven by debt-financed consumption and housing spending. Specifically for Indian scenario, Indian Public banks which have majority market share and can be easily regulated should be strengthened,so that during times of crisis the situation can be well managed through these banks. The strengthening should be in terms of a stronger top management and efficient risk profile. Banks and regulators have to ensure that frauds in housing loans and credit cards are strictly dealt with and reckless lending is avoided. Moreover, SPV and innovative financial products designed by banks and financial institutions should be reviewed for risk factors and released only after moderation. These products although heavily profitable during good times can act as disaster triggers during weak times as was seen in the recent global turmoil. More specifically from the banking side, banks need to ensure greater transparency and accountability in their operations. Customers need to be educated about all the hidden costs and such hidden costs should be included when evaluating the credit capability of the customer. Customers should also be advised on their financial needs and strengths so that a healthy relationship can be maintained from both sides. Banks need to devise strategies and look at retail lending in the future from a structured and balanced viewpoint. Banks have to now focus on Strategic Retail Lending. This implied having well defined allocations for different segment of lending so that risk limits specified for each sector can be adhered to. Upper limits needs to be defined and strictly followed in accordance with the retail portfolio that the bank intends to have in accordance with its risk appetite. Banks could also look at implementing a Credit Appraisal System where a credit rating is given to individuals and it can be consistent across all banks. CIBIL can play a major role here with it already having started the process of forming a database of the credit history of individuals. These credit scores can also be used by banks to look at the possibility of risk based pricing where interest rates are charged based on the risk profile of the customer. This will also be beneficial for an individual with excellent credit history who can then negotiate for a lower interest rate. In the rural segment, where probability of defaults are high given high dependence on monsoons, the banks can act as facilitators. Given the increasing need for financial inclusion, apart from giving loans, banks can provide value based services like tie ups with farming equipment manufacturers and encouraging non-agricultural sources of income. This would not only ensure a better living standard for farmers but also ensure a constant source of cash flow for banks that have lent out, reducing default probabilities. The future outlook for the Indian Retail Banking Industry looks good. Given the huge untapped market of semi-urban and rural areas, the opportunities are huge. The future will see Banks with well defined systems and procedures emerge as leaders. Learning lessons from every event at every step and moving with a well developed strategy would certainly be the key to success. The article expresses personal views of the blog author. Comments are appreciated.